I’ve been blogging for more than 10 years. Most of that time my blogging was very casual and more of a hobby than a job. It used to be a bit easier to be a blogger. You chose a certain topic to write about, and you found other bloggers who wrote about the same topics and commented on their blogs. Then that blogger and their followers might see your comments and follow you back. Soon you had a few active followers yourself. However, nowadays it’s not so easy for new bloggers. For one thing, there are already so many websites and blogs. You’re competing with all the other content that’s online. So how can you be different and stand out from the crowd? It’s difficult to find something new to write about. Even if you are an expert in hiking boots probably someone, or maybe many people, already wrote all about hiking boots. How can you be authentic? How can you get a piece of the pie and make an income with your blog? Why am I talking about how blogging has changed? Well, if you’re thinking about starting a website or blog now, you could probably benefit from tips, assistance, help, and hacks from more experienced bloggers who offer blogging for beginners courses. Sure you can muddle around and work things out for yourself. Experimenting and learning is part of the fun. However, it can also lead to frustration. You spend hours or days on a post, and no one comes to read it. You work hard to take amazing Instagram photos but don’t get that many likes. Perhaps you have some followers and traffic but can’t figure out how to make any money to keep going. This can be annoying and depressing. Luckily, there are people with experience who are willing to share their knowledge. Here are 10 professional blogging courses that I think could benefit beginning bloggers who want to know how to start a successful blog. Also be sure to take a look at Blogging for Beginners in 8 Steps. 1. The Business of Travel Blogging :: Nomadic Matt says “Wouldn’t it be great if you could turn your love of travel into a paying gig while helping others at the same time?” Um.. yeah! 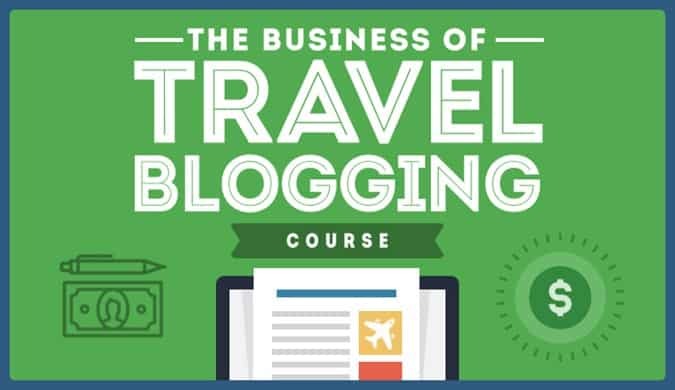 If his 9 tips for becoming a successful blogger are any indication, this course is a super helpful, realistic and ethical guide to running a travel blog. The course covers website design, how to work with brands, social media tips and includes monthly webinars, Q&As, and tech support, and tons of blogger tips and tricks. After this class you will definitely know how to become a blogger in the travel niche. You can find out more about the Superstar Blogging course here. Check out Matt’s other travel media courses on how to hone your skills to become a travel writer, photographer or filmmaker. He works with a team of experts to provide excellent training courses. Click here to sign up for Superstar Blogging courses! 2. Blog Life & Blog Life Pro :: Created by the ladies behind A Beautiful Mess, these aren’t your run of the mill online courses. Blog Life is their blogging 101 course that will teach you how to start a successful blog. Blog Life Pro is ideal for bloggers who have been blogging for at least a little while, but they want to learn more about optimizing their efforts. Learn how to grow your social media following, and partner with brands to make an income from people who have already been super successful. If you’d like to maximize your learnings you can purchase the courses as a bundle. Get more info about the ABM Blog courses and sign up here. 3. Making Sense of Affiliate Marketing :: This is one of the most popular online blogging courses for beginning bloggers who are in the first steps of monetizing their websites. Michelle has an amazing personal finance blog called Making Sense of Cents that she runs while traveling full time on a sailboat. She shares her (six-figure+) income reports every month which provide ample proof that she knows what she is talking about when it comes to making money from affiliate ads. If you would like to learn the ins and outs of affiliate marketing with plenty of other excellent tips for how to optimize your website then definitely sign up for Making Sense of Affiliate Marketing. I learned a lot from her course! You can read my review of Making Sense of Affiliate Marketing here. The Making Sense of Affiliate Marketing course is having a New Year Sale!!!! Click here now to sign up and get started raking in the cash! Use code NEWYEAR20 to get a great discount from January 3rd to January 7th! You can also check out her free email course on how to start a blog. 4. Food Blogger Pro :: This website and community is dedicated to teaching people how to start and grow a food blog. 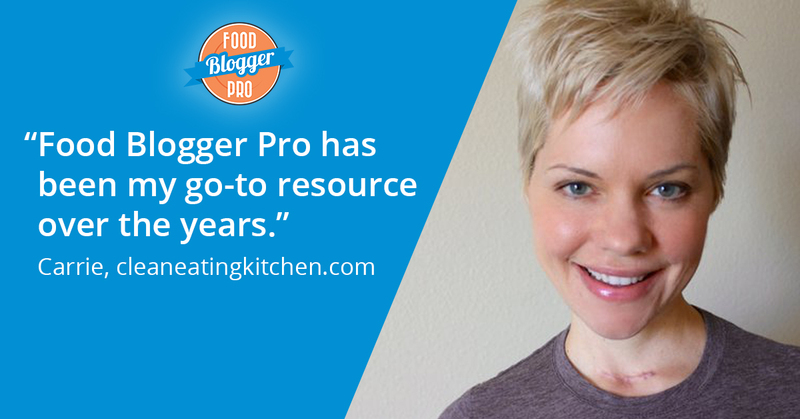 Learn How to Start, Grow, & Monetize Your Food Blog is their acclaimed online course with many successful graduates and online testimonials. The bloggers behind it share their monthly income reports so you can see they know what they are doing! The professional blogging course and private mastermind group is open for sign ups just a few times a year! Sign up now! You can also download their free ebook 10 Mistakes That Bloggers Make. 5. How to Make Money From Blogging :: Have you started a blog but don’t know how to begin to earn an income with it? Sharon Gourlay provides lots of information in this affordable ebook and on her website Digital Nomad Wannabeabout how to get more pageviews, how to find keywords and how to monetize your site. I love her no nonsense realistic approach that anyone can implement. Seriously, if you want to make money from blogging, start here with her ebook. She also offers a blogging course in addition to the ebook, get on her mailing list to find out when registration opens. Get the ebook here. 6. Femtrepreneur :: Want to find your blog niche, build a killer website and make a profit too? Check out Mariah Coz’s free email course Build a Profitable Blog. She’ll explain step by step how to create an awesome blog and how to make money from it. Mariah specializes in creating paid products like courses and she’ll teach you how to create them and sell them on your site too. Once you’ve mastered the basics in the free email course you can check out her paid courses and learn how to grow your email list, create products and hopefully make lots and lots of money with your blog. 7. Facebook Strategies Worth Sharing :: Social media is a great way to grow your blog traffic and Facebook is definitely one of the best of the bunch. This ebook by Brittany Ann is a step-by-step guide to growing your Facebook followers and getting more engagement. And the ebook is very affordable too. It’s a great addition to a more general blogging for beginners course. 8. Launch Your Blog :: Alex and Lauren learned from their newbie mistakes trying to launch blogs and now share their knowledge with others who are just starting out. Want to learn the secrets of how to become a blogger, how to get a WordPress site up and running or how to get an email marketing campaign started? Check out this course. They also have a more advanced course called Six-Figure Blogger. Alex and Lauren will teach you how to make money blogging and how to make your blog popular. 9. Introduction to SEO: Strategies and Tactics :: Every blogger should understand SEO. Rand Fishkin (formerly of MOZ) teaches this SEO in a nutshell course on Skillshare, giving you amazing techniques for making the most of your website. If you’d like to learn more you can also check out the terrific Whiteboard Friday feature on Moz.com (for free!). 10. Context is Key: Social Media Strategy :: If you are confused about the best practices for all the different social media channels, check out this Skillshare class with Gary Vaynerchuk. His forceful style might not be for everyone, but there are great nuggets of information in the course. You can also check out his very popular podcast. 11. B-School :: While not a blogging training course per se, this bonus class is mainly aimed at online entrepreneurs who want to build a business that thrives. Taught by the gorgeous and funny Marie Forleo, the course happens once a year, so get on the waiting list if you’d like to join. Marie is now also offering an online writing course called The Copy Cure. Also be sure to take a look at my Blogging 101: Blogging for Beginners that has lots of tips on how to get started. I hope this list of the best blogging training courses helps you to find the education you need to build a better blog, how to monetize your website and how to make your blog popular. I have not taken all of the above courses already, I put this list together while researching ongoing education options for myself. I’d like to take my blogging to the next level in 2018 and hope that a course or two might help me do that. Will you join me? Please get in touch if you’ve taken a course you’ve found super valuable.